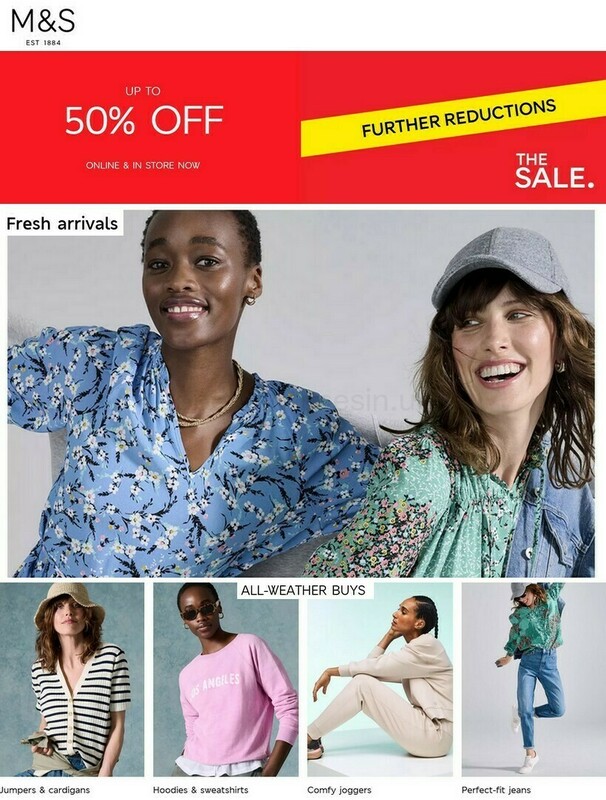 Visit Marks and Spencer in The Brunel Shopping Centre at 81 Regent Street, about a 0.43 mile drive north-west from the centre of Swindon (near Swindon Designer Outlet and The Parade Shopping Centre). This department store is situated perfectly to serve those from the areas of Okus, Eastcott, Swindon Town Centre, Rodbourne, Kingshill, Queenstown, Broadgreen, Gorse Hill and New Town. If you would like to drop by today (Friday), its working times are 8:00 am until 6:00 pm. On this page you can find all the information about Marks & Spencer Swindon, The Brunel Shopping Centre, including the business times, address, direct contact number and further pertinent details. Marks and Spencer is conveniently positioned immediately near the crossroads of The Parade, Canal Walk, Bridge Street and Regent Street, in Swindon, Wiltshire, at The Brunel Shopping Centre. Simply a 1 minute drive time from Regent Street, Commercial Road and Fleming Way; a 4 minute drive from Wootton Bassett Road, Queens Drive, Rodbourne Road or Kingshill Road; or a 14 minute trip from Croft Road and Junction 16 (Spittleborough) of M4. If you are using Satellite Navigation systems (GPS), use the postcode SN1 1JY. The nearest bus stops are: Fleming Way or Swindon Bus Station. These services will bring you here: 1, 2, 5, 6, 8, 9, 11, 12, 13, 14, 15, 16, 17, 19, 21, 22, 23, 24, 25, 27, 46, 49, 50, 71, 74, 1A, 9A, 11A, 13A, 14A, 19A, 24A, 70A, 72A, X5 and more. The train can be caught from Swindon Station (2020 ft away). Constant service via the GWR line. By foot there is The Parade Shopping Centre, The Parish Church of Saint Mark the Evangelist, Bridgemead Retail Park, Mannington Retail Park, Swindon Designer Outlet, Greenbridge Retail Park, Lawns Park, Swindon College and Queen's Park. Marks & Spencer now runs 3 branches in Swindon, Wiltshire. Browse the following page for the entire index of all Marks & Spencer locations near Swindon. Please note: the holiday season may bring about revisions to the common working hours for Marks & Spencer in Swindon, The Brunel Shopping Centre. For year 2019 these revisions include Xmas Day, New Year's Day, Easter Sunday or Early May Bank Holiday. It is recommended that you go to the official homepage or phone the direct service line at 0333 014 8555 to get verified information about Marks & Spencer Swindon, The Brunel Shopping Centre seasonal opening times. While coming by Marks & Spencer, please go see the wide range of interesting stores in The Brunel Shopping Centre. In this same spot, you can also find Sainsbury's, Argos, The Entertainer, McDonald's, Costa Coffee and other possibilities. Help our team keep the information as up to date as possible. Should you find discrepancies in the place of business info or operating hours for Marks & Spencer in Swindon, The Brunel Shopping Centre, please let us know by utilizing the report a problem form. Your comments on Marks & Spencer are valued. Please use the space provided below, as well as the star system to review this location.